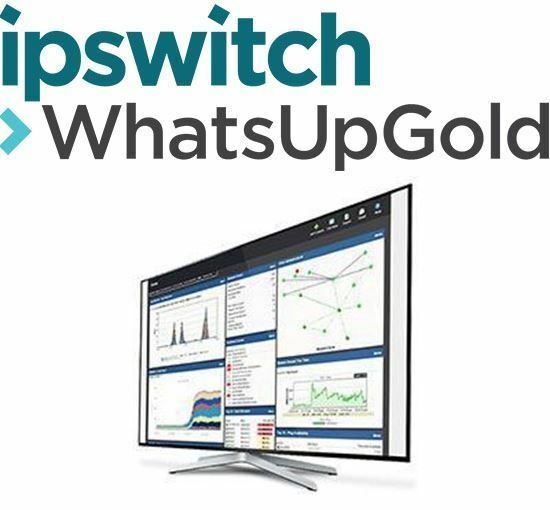 Ipswitch WhatsUp Gold Basic Edition is powerful, easy to try, buy and use software for unified server and network monitoring. WhatsUp Gold continuously monitors the availability and performance of your infrastructure from routers, switches, and firewalls through to your servers and applications. In short, WhatsUp Gold can monitor anything with an IP address that can be accessed with standard monitoring protocols including ICMP and SNMP. Smart Alerting & Actions WhatsUp Gold provides real-time alerts via email, text, and logging. Alerts empower you to proactively respond to problems before they impact users, applications and the business. WhatsUp Gold issues an alert when a device or monitor changes state (e.g., from an up state to a down state) or when a performance threshold is exceeded – for example, when memory utilization exceeds 75 percent. WhatsUp Gold’s “smart” alerting uses the network dependencies automatically identified in the discovery process to eliminate alert storms and quickly identify the root causes of network problems. The WhatsUp Gold Alert Center displays threshold-based alerts in a single dashboard. You can create action policies for alerts including event logging, email, texting, and automated self-healing actions such as restarting an application service or any other action that can be initiated by a PowerShell script. WhatsUp Gold delivers an easy-to-customize reporting environment. You can select from hundreds of out-of-the-box views or easily create drag-and-drop dashboards that provide a quick assessment of overall IT health – even detailed drill-down dashboards to isolate the root causes of performance problems. These dashboards can help you quickly resolve performance problems across your organization. WhatsUp Gold also features integrated inventory reporting including hardware inventory, reports on installed software and updates, warranty reports, and more. These reports save both time and money and can decrease year-end IT inventory activities from weeks to minutes. The reports will also help you find under-utilized hardware resources that can be re-deployed and identify unlicensed software to avoid expensive true-up costs.